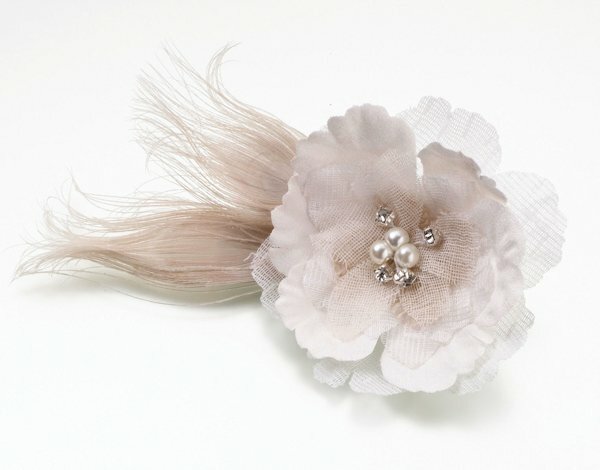 SHARE Our burlap and lace clip is a perfect accessory for hair, clothing and more! 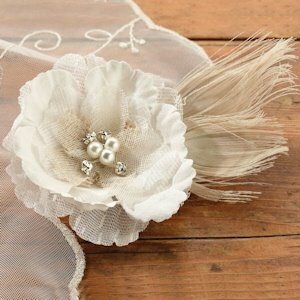 Simply use the metal hair clip and/or pin, which are both found on the back of the piece, to affix to anything you'd like. 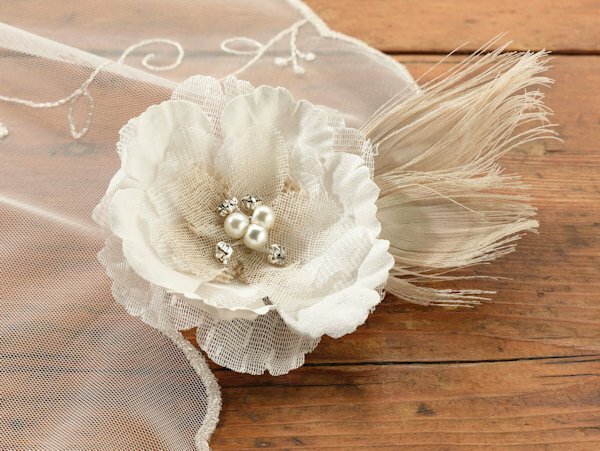 Styled with both burlap and lace, this on trend accessory features a natural peacock feather that rests behind an intricate lace flower detailed with sparkling rhinestones and pearls. The clip measures 4".